Paul Woolson is our point man. 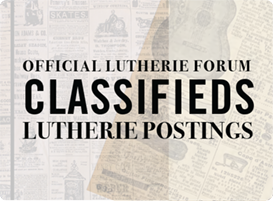 Subscribe to the OLF Classifieds! 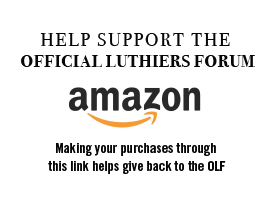 Support the OLF! Bookmark our AMAZON link! Hi all! I'm here too. I hope to get this dialed in understandable for anyone wanting to build it. Looking forward to all comments! Hi Guys, it's rainy here so I'm looking over the plans and trying to get an idea about materials. It looks like most of the main parts are 3/4" plywood. A couple of questions: no indication of the thickness of the templates or the top. It looks like both pieces together might be 3/4"? Also, where does the spacer go? Is the channel 3/4" x 1/2" aluminum? Might there be a bill of materials available? I guess that's more than a couple of questions. Finally got a chance to look over the drawings. I think I could build from them without much difficulty. The isometric sketches cleared up some of the confusion for me by allowing me to compare the each drawing view to the sketches of the finished jig. The font used for the dimensions was pretty small for my older eyes, but the reading glasses helped me decode most of them, although it still took a little pondering for a few of the measurements. Good morning! I'll take a stab at your questions. Yes, 3/4" stock is what I had in mind. Though 1/2" will work as will 1". When we did this the first time, I made sort of a bill of materials based on how I built my original jig. Keep in mind that I built it out of stuff I had laying around my shop. So I got all sorts of questions like, "where do I get the 1/4" fiberglass rod?" which I specified for the alignment for the truss rod channel. I used it because it's what I had. And people didn't seem to understand that anything 1/4" would work just fine. Wood, brass rod, steel rod, 1/4" kryptonite, etc. So that's why I haven't made a cut list, but probably should do so. The templates are another example of being somewhat intentionally vague. I believe stew mac templates are 3/8" but I didn't want to specify that for fear of getting the, "will 1/4" lexan work?" type questions if the person makes them themselves. So how about this for an answer: between 3/8 and 1/2". And you can make the top any thickness that will work. I would think 1/4" under the template would be plenty. I originally used a dado blade to cut the cavity for the template. I think it would be just as, if not more, easy to thickness some wood to be the exact thickness of your templates and glue the whole thing up. Basically you just don't want any lip between the top and the template or your router will sit slightly crooked, and also "pop" when it goes over that ledge. You'll see that in the cut. Again, the channel aluminum is what will fit your overall system. The interior dimension should be the same as the plate that holds the neck. And there should be enough depth to house the hole for the bridge referencing pin. Other than that, I think you are pretty free to use whatever you can make work. I originally specified 3/4" aluminum and got "can I use steel?" questions. Well, I was going to use accuracy of .001" but thought 1/256 would be easier. Thanks for the note about that. I'll need to scooch that line a bit. I can certainly increase the font size. Thanks for the note. I think that will help people building the jig. I'm just joining into this process now, a few weeks later, so excuse me if my questions seem like covering old ground. Will this jig work for dovetail as well (with a dovetail template and router bit of course)? And a broader question: how does this jig differ from the jig plans offered by LMII? Is it a refinement? I hope Madison is treating you well. I grew up there, did minor repair work at Spruce Tree Music for a few years, and was in the music scene for most of the 90's. I love Brooklyn but miss Madison. Though I've never done a dovetail (and likely never will) I see no reason why it would be any different. All it is doing is setting the angle of the neck prior to cutting the tenon. How does the jig differ from LMI's, it doesn't. Robbie O'Brian copied my jig, which is fine, I have no patents or anything. But then he sold it to LMI which I feel is kind of sleazy. It's all good. I'm not trying to make money on this anyway. Just trying to share the information. I am going to make this forum public soon and start to take preorders for the plans. It would be great if we could direct all the Q&A to this forum. Where is the link t purchase these? What are the details? Is it a plan for a mortise and tenon jig? 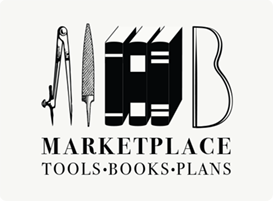 Follow the OLF Marketplace link found in the ad section above. I just saw this post and thought I would offer my comments. For the record I did not copy Paul's jig. Paul and I have discussed this recently and both of us are cool. I also did not sell the jig to LMI. They decided to make it on their own. Here is a video in which I talk about the origins of my version of the neck angle jig.